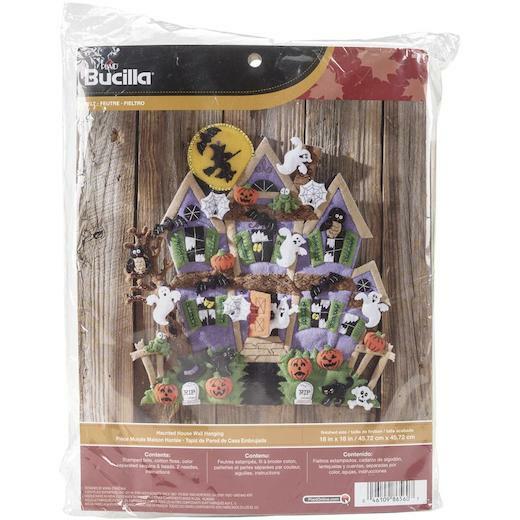 Bucilla Felt Applique Wall Hanging. 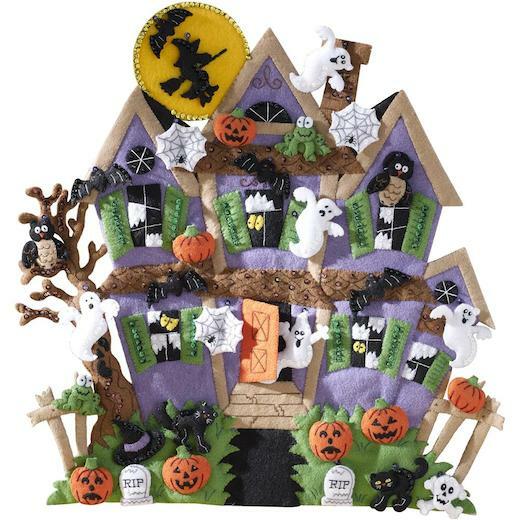 Bucilla always has the highest quality, most brightly coloured and creative designs for their fabulous Felt Applique Kits. This Kit contains stamped felt, cotton floss, metallic thread, colour separated sequins and beads, needles and trilingual. Finished measurements are approximately 18" x 18".